As the first children slowly outgrew SOS Children's Village Assomada, SOS Cape Verde built an SOS Youth House in Assomada in 1988. Simultaneously, the first youth development projects such as a joinery workshop were launched on the SOS Children’s Village site. The idea to build a second SOS Children’s Village near the capital Praia was born in 1997, when the social problems of the inhabitants of Praia were further aggravated through increasing rural to urban migration due to drought. This project was finalised between 2001 and 2003 in the small town of São Domingos in the outskirts of Praia. The legal backing of SOS Kinderdorf International projects in Cape Verde was formed in November 2002, with the creation of the new SOS Children's Villages Cape Verde association. 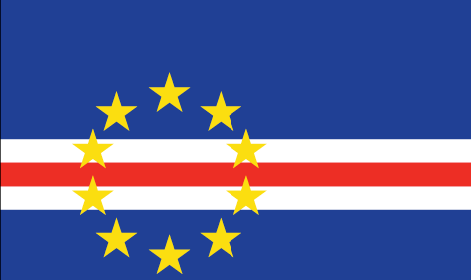 Faced with the increasing problem of street children in Mindelo (island of São Vicente) the government of Cape Verde requested international assistance in 2005. Street children in Mindelo are at the mercy of a hostile environment and are frequently victims of child abuse, exploitation at work, etc. During the visit of the President of SOS Kinderdorf International, Mr Kutin, in 2005, the problem of São Vicente's street children was discussed with government representatives and it was agreed to start a prevention program to tackle it. The very same year, an SOS Family Strengthening Program targeting 111 children in the community was successfully launched. In June 2006, construction of the SOS Social Center São Vicente was started to be inaugurated in April 2008. The SOS Social Centre São Vicente provides child care including psychological support, food and sanitation, counselling, emotional support and medical support to street children. It comprises four workshops, a canteen, emergency accommodation and a sanitary block. In addition to focussing on street children, the centre serves as a recreational and educational centre for youths from São Vicente. Library, internet facilities and extra classes are offered to a wider range of youths (for a little fee to cover part of the running costs) thus furthering their social integration. In 2006, two partnership agreements were signed as a result of the new strategic initiative of SOS Kinderdorf International aiming at preventing child abandonment. The first one was signed between SOS Children’s Village Cape Verde and institutions who work with children such as Cape Verde Institute of Minors, Foundation Happy Children, Cape Verde Solidarity Foundation and Children In Need Association, the second one between SOS Children’s Village Assomada and Caritas of Santa Catarina. In this line of work, families from the Ribeirão Chiqueiro's community were identified to benefit from SOS facility programs. The program includes training of these families with regard to successfully running micro enterprises and how to make loan applications. Increasing rural-to-urban migration towards the end of the 1980s led to a higher population density around the capital Praia. Many people are forced to live on minimum spaces under unacceptable living conditions. Many children have no access to education. The situation was aggravated by both the high birth rate and the high unemployment rate. One of the results was a constantly increasing number of abandoned and orphaned children, mainly in Praia. Owing to the excellent co-operation between SOS Children's village International and the government of Cape Verde, the idea of constructing a second SOS Children's Village in Cape Verde was implemented in 2000. Construction works commenced on a donated plot of land in São Domingos, and were completed in 2003. In March 2003, the first children with their SOS mothers, and the village director moved in. An SOS Kindergarten and a SOS Youth Facility (under construction) were annexed to the SOS Children’s Village. The SOS Children’s Village São Domingos is located on a quite steep hill, planted with trees, a few kilometres out of São Domingos. It was officially opened on the 5 October 2004 through the Prime Minister of Cape Verde, Mr José Maria Neves, the Minister of Cooperation from Luxemburg, Mr Jean-Louis Schiltz, and Ms Barbara François, Vice President of SOS Kinderdorf International. It consists of eight family houses - where a total of 80 children are currently housed - a Village Director’s house, a house for SOS aunts (who take care of the children in case an SOS mother's absence), an administrative and service block, and a sports ground. The SOS Kindergarten was completed along with the SOS Children's Village, and provides supervision for up to 50 children from both the SOS Children's Village, and the local neighbourhood. In November 2010, construction of an SOS Youth Facility was started. It will consist of four bedrooms, recreational room, two dining rooms, two stores, two laundries, two kitchens, two washrooms, veranda, yard and a flat for youth leader. It will accommodate 16 youths.